It was the wind park maintenance engineer who brought the truth to light. Loose cables dangled in her face when she opened the switch cabinet of the turbine she was scheduled to inspect. The cables should have been fixed in place with elastic bands. But they had perished – something that wouldn’t have happened with the right retainers. 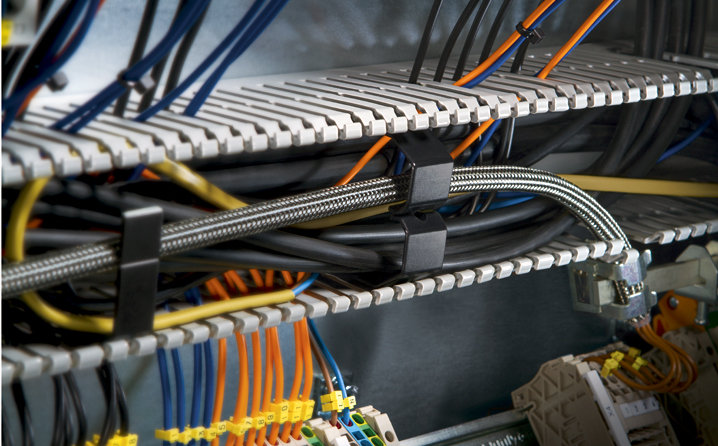 Learn how to simplify and professionalise cable management in electrical panels and switch cabinets using accessories from the HelaDuct product range. Lengths of cable in an electrical panel are like nerve pathways. Not only do they look untidy if they are not properly arranged in wiring ducts; maintenance work and installation will take longer than necessary, become inefficient and cost-intensive. In the worst case scenario, operative systems can even be interrupted. Damage to sensitive cable insulation resulting from them rubbing on sharp duct parts during maintenance work will lead to incorrect signals or short-circuiting. 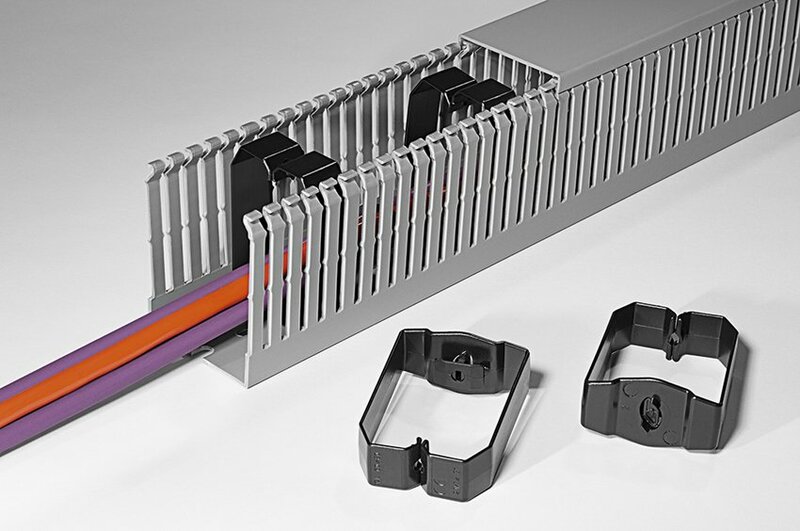 HellermannTyton’s HelaDuct product range offers a professional and durable solution for securing cables in wiring ducts: “HelaDuct is a system solution for quality-conscious panel builders,” explains James Orsini, Product Marketing Manager at HellermannTyton. HelaDuct HTWD-NFWR and HTWD-WFWR wire retainers can be installed in the wiring duct after the wires have been laid. Duct wire retainers for installation during panel building. Fixing the retainers in the duct is simple. HTWD-BWR retainers are locked securely into place in the duct with an easy twist. HTWD-NFWR and HTWD-WFWR retainers are simply clicked into place. The HelaDuct range also offers the ideal solution to anyone intending to use cable ties or other fastening components in their wiring ducts. The HTWD-CTH and HTWD-TL fastening components make it easy to fasten components directly to the base of the wiring duct. 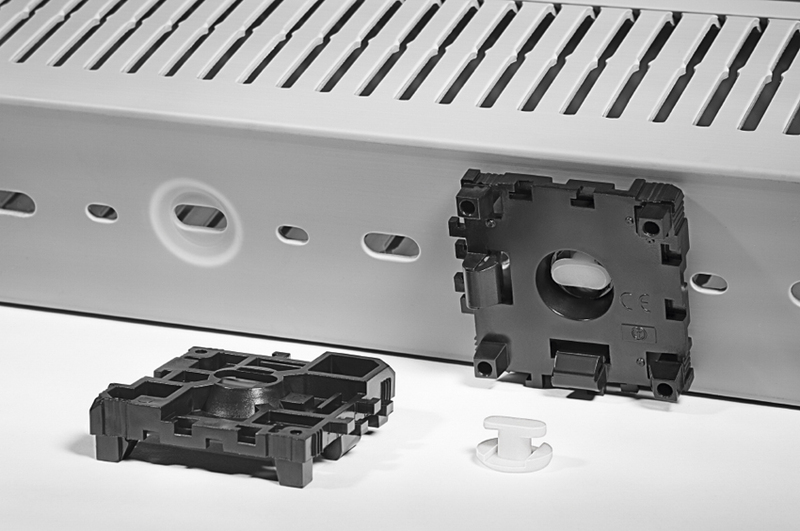 Using the mounting blocks, wiring ducts or other components can be mounted on a DIN support rail. HTWD-CTH is used for securing cable ties, while HTWD-TL is use to fix the wiring duct on the bespoke HelaDuct mounting blocks for DIN support rails. The major advantage of all HelaDuct accessories is that the secure anchor does not protrude from the duct base. The duct can consequently be fixed flush to the walls of the panel or switch cabinet without any problems. HelaDuct accessories don’t just make wiring installation in ducts more efficient. They also help save space: ”Space is money where electrical panels are concerned. Panel builders work with accurate measurements to optimise their use of space. That’s why we provide wiring ducts in handy dimensions. We also offer them with both narrow and wide ribs to cater for applications with thinner or thicker cables,” explains Orsini. 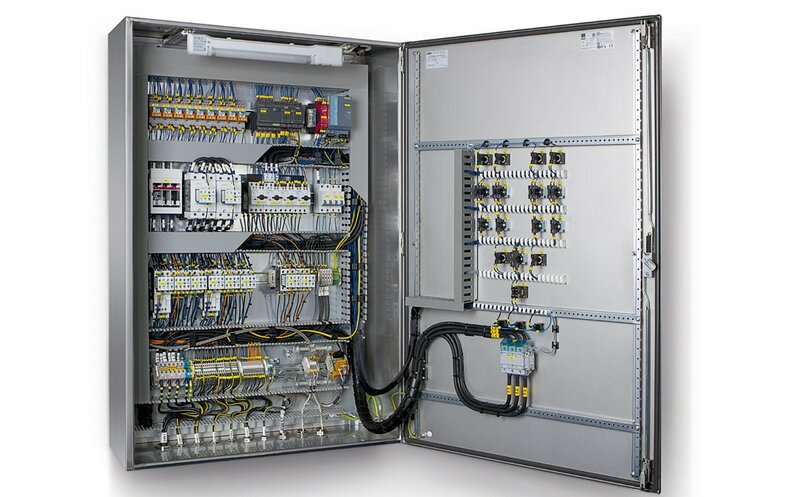 From safe-to-use wiring ducts, to accessories and special tools, everything fits seamlessly together in the HelaDuct system: “Even panel builders whose customers need special solutions will find what they are looking for here,” says Orsini. “HelaDuct guarantees panel builders and their customers a durable, top-quality solution”.